RIT is creating a new university-wide research center devoted to digital media. The Center for Media, Arts, Games, Interaction and Creativity (MAGIC) will be led by Professor Andrew Phelps. The MAGIC Center will have a research and development laboratory as well as a production studio to bring creations to the marketplace. 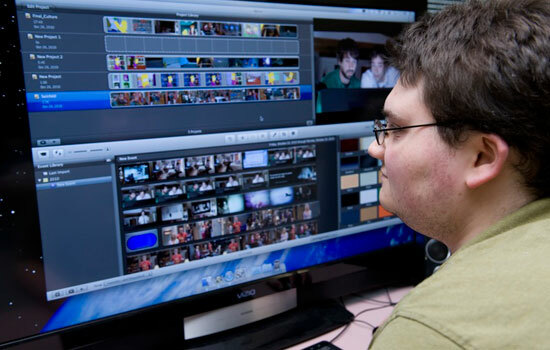 Rochester Institute of Technology is creating a new university research center devoted to the burgeoning field of digital media. The Center for Media, Arts, Games, Interaction and Creativity (MAGIC) will provide a broad range of research, development, education and entrepreneurial activities in support of the exploration of media, arts, games, social interaction and digital creativity. The MAGIC Center will be composed of two parts: 1) A university-wide research and development laboratory; and 2) MAGIC Studios, a production studio that will assist in efforts to bring digital media creations up to marketplace standards and commercialized. Digital media is content in the form of text, graphics, video and audio that can be transmitted over the Internet or computer networks. An area for the new center to address, for example, would be the development of mobile apps. Destler appointed Professor Andrew Phelps to be the founding director of the new initiative. Phelps previously founded and led RIT’s School of Interactive Games & Media in the B. Thomas Golisano College of Computing and Information Sciences. He also is the originator of the Game Design and Development programs at the university. Destler and Phelps noted that there is a variety of fields impacted by advances in digital media and the list keeps growing. This includes health and science simulations, economic simulations, social software, free and open source software, games and learning, mobile technologies and other areas in the digital humanities. “We have high hopes for the MAGIC Center and its mission to broadly integrate the study of digital media and technology with the university at large,” says Destler. The combination of a research lab and a corporate-style production studio makes the new center unique in higher education, says Jeremy Haefner, provost and senior vice president of academic affairs. RIT students, for example, would have the potential to be involved with intellectual property negotiations and profit sharing.